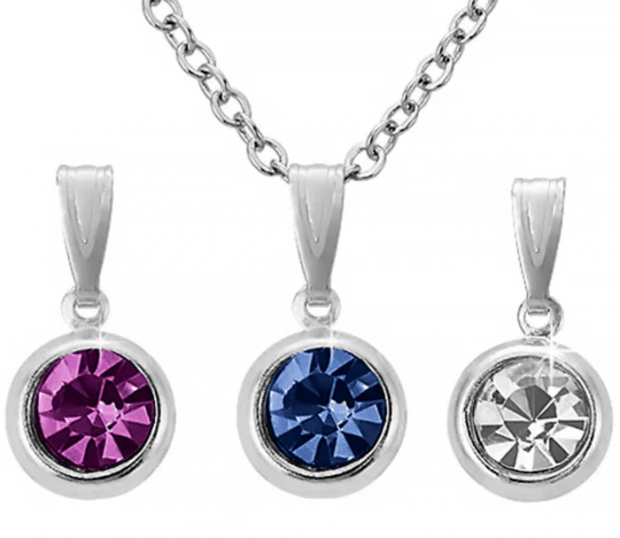 Interchangeable Pendant 4 Pc Necklace Set Only $4.99 Shipped! You are here: Home / Great Deals / Interchangeable Pendant 4 Pc Necklace Set Only $4.99 Shipped! Get 3 looks in one with this 4-piece pendant necklace set. Featuring a 18’ chain with three interchangeable pendants featuring pink, white and blue crystals, you’ll never get bored of this set! The Interchangeable Pendant 4 Pc Necklace Set for Only $4.99 Shipped (necklace if FREE plus $4.99 shipping!) is a really inexpensive way to get multiple looks!